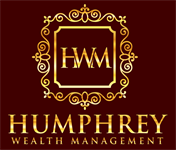 Clients of Humphrey Wealth Management enjoy personalized planning. Having amassed over 35 years of experience, our advisors specialize in simplifying the complexities of our clients’ financial lives. Backed by the resources and reputation of Lincoln Investment, a leading broker/dealer, we provide our clients with an unparalleled planning experience. Based in Iselin, New Jersey, we are proud to serve investors throughout the northeast and across the continental United States. While providing a comprehensive spectrum of services, we unite the access and resources of major institutional firms with the personal touch of a boutique practice. We’re Wall Street-forged, but Main Street-focused. By keeping our clients’ best interests at the heart of our process, we deliver knowledgeable advice and strategies in a genuine, approachable environment.